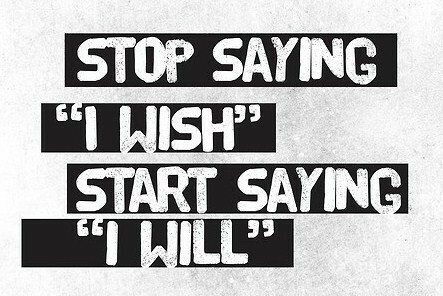 It is your will power that helps in attaining the materialistic and the abstract. No matter how tough it is, it can come true just by you willing to have it, or vice-versa. To state without amplification, will power can turn the unfavorable the other way round. The strength of will power works from letting the mountains move, to stopping the rains that have been going on since hours; changing the fate that has been designed long back for you by the mortals or the immortal; bring in the success to your toes that was never meant for you; repair the irreparable relationships or untie those handcuffs. Embrace it, and you shall touch the zenith! Finally, I finished reading Palace of Illusions- such a wonderfully narrated piece of work by Chitra Banerjee. This novel gave a voice to Draupadi, well known as Panchaali- an epitome of womanhood. It talks about her life, her opinions, cravings, longings, grief, agony, sadness, happiness(which haunted seldom), vengeance that she was furious for all along, her immense strength, her secret desires, and above everything, it shows how the great story of its time OCCURED to her and how she came across every aspect of it. This novel traces Panchaali's life from a fiery birth and lonely childhood to a great deal of injustice followed by a dreary revenge . I ain't prophesying womanhood here! But truly stating, she was the only woman who was born to change the history of the mankind. This narrative has compelled me to wander how her life would have been, married to 5 brothers, living in exile for most of her life, and the rest was no less than an exile; my heart speaks out for her. Mahabharat, an epic that I have read, heard of and watched on TV a dozen of times, but never could look at it from the perspective of any particular character but merely a series of events. The other day, someone told me - Ramayan teaches us how to live and what to do, whereas, Mahabharat teaches us what NOT to do. The feat of the great war of its time, was it justified? The whole clan gets ruined by the end of it, except for a handful of people who very lucky to survive. While I scan through the list of characters, I ponder one action from which of them could have undone all the possibilities of such great destruction? Who lead to it? Whose fault it was ? Panchaali- If she was not married to five brothers (Pandavas), if she had not rejected Karna in Swayamvar, if she had not insulted Duryodhan in her palace, if she was not so desperate for her revenge and had, instead, went on quietly with her insult as her ill fate . But wait, what if Yudhishtir had decided not to play the gamble, rather he could have been partially righteous and not abided all the rules of the game and to stake his brothers and his wife during the game. Alas! what if Duryodhan, his cousin had not been cruel and unrighteous to this extent, and if he hadn't felt so dejected throughout his life? Instead, what if his maternal uncle Shakuni had been fair and had not guided his nephews to the unrighteous path since their childhood. Wait a moment, was only Shakuni at fault? What if his dear sister Gandhari was not forced to marry a blind person Dhritrashtra, he would have not decided to use his wit in the ill manner to end the whole dynasty. Nevertheless, Shakuni could not have done anything if Karna (the eldest son of Kunti, who was gifted to her from Sun god at a tender age) would have not been abandoned by her, and being the eldest, would have been given recognition and crowned as the next heir. Or was it because Kunti imposed or ordered all her sons to marry the same woman so as to keep them united, or she hadn't revealed to anyone that Karna was her son? Was it Kunti's husband, Pandu who went for exile just before his coronation as the King, which later gave rise to the question as to who should succeed Dhritarashtra? Was it Dhritarashtra, who should have not lured to take place of his brother, or thought as a King rather than a father, and had crowned Pandu's son as his successor? Was it Gandhari- Dhritarashtra's wife, who had the boon to bear a hundred sons, who could have barred her sons from getting on to the wrong track? She tied the veil on her eyes, not literally, but righteously too! Or was it all due to events at some distant place; King Drupad who ditched his childhood friend Drona and lighted the fire of vengeance in him that led to the creation of such great warriors. Or was it because Drupad desired to avenge Bheeshma and that he performed prayers to gain two of his children - Dhrishtadhyumna and Draupadi ? 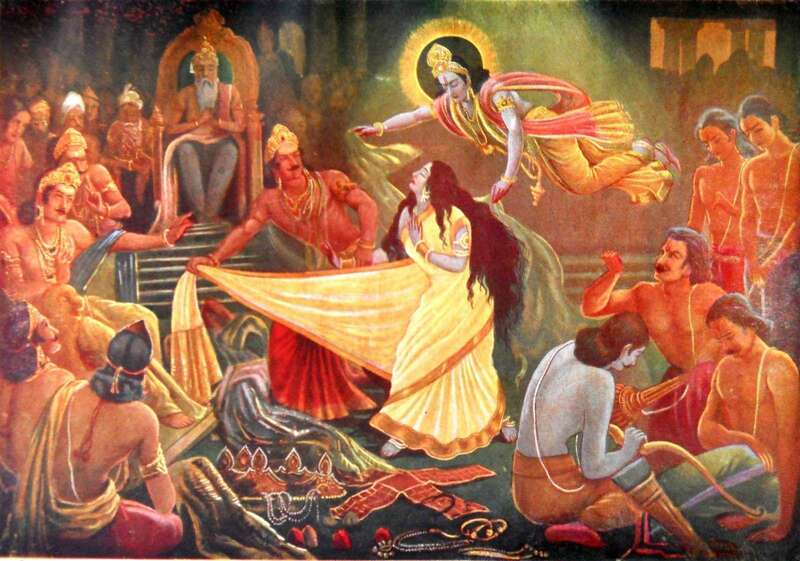 What if Draupadi was not born at all? Was it Dronacharya's desire to get his son to be a King, irrespective of the fact that he was a Brahmin and a great teacher? He intented to achieve what was not at all meant for his creed, and planted the seeds of the same in his son Ashwathama's mind. Was it determined long back when Bheeshma made a stiff promise of not getting married ever, and taking unjustified decisions thereafter at every step? If he would have married, and sons were born to him, there would have been no scope for him giving all his life to protect the clan of his younger brother Vichitravirya and being care taker of Hastinapur's throne. Was it because, later he abducted the 3 sisters - Amba, Ambika and Ambalika to marry his brother, and one of them turned furious and reincarnated to avenge him? Was it because he insulted Drupad for the sake of Vichitravirya? Was it Ganga, Bheeshma's mother who abandoned her seven children for no justification, and disappeared for years, which led King Shantanu to marry Satyavati, who later became ambitious to make her would-be children, the heirs of the kingdom? Was it Krishna, who supposedly knew everything but puzzled almost every character with his riddles rather than warning them! Or was it all just because the heaven had designed it long back, and that every character was bound to the other in such manner? Was it because it had to lead to the advent of TODAY's time - the Kalyug or the fourth age of Man!? Or may be to set a perfect example for all of us existing right now, to maintain a balance between the righteous and the unrighteous, and be decisive according to the situations by not blindly imbibing age-old ideals. One more thought that often strikes me upon learning about this epic is, almost each one of us has built a wall of our ideologies, thoughts, ideas, opinions, prejudices and of limited knowledge around us. We see life, every phenomenon and person through our lens. Shouldn't we try to expand the sphere of our thoughts and come out of those shackles to think beyond the taboos ? This would spare us from the agony and displeasure that we eventuate so often. Shouldn't we watch our actions taking into consideration all those who shall be affected by them, and not only ourselves?